Our long wet winter has turned into a cold wet spring with only a handful of nice days here and there. 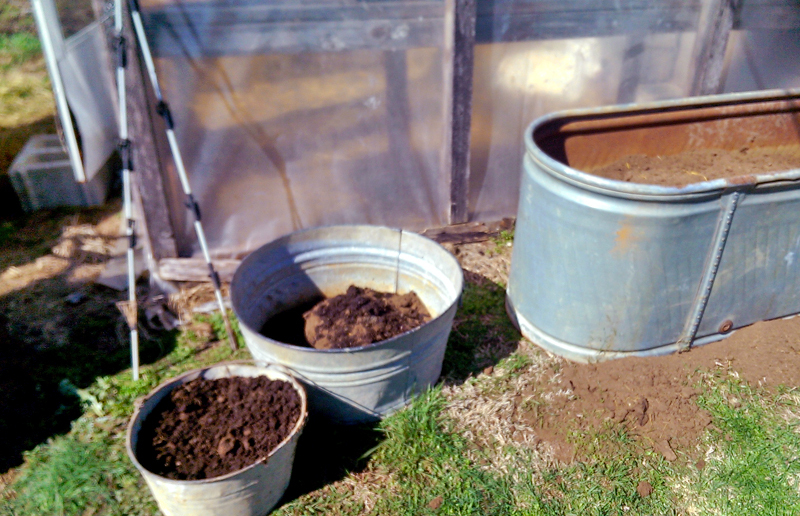 On those few sunny days, we are outside working on our to-do-list and prepping for garden season. Just to be outside in the sunshine and moving around is such a treat after being cooped up day after day. 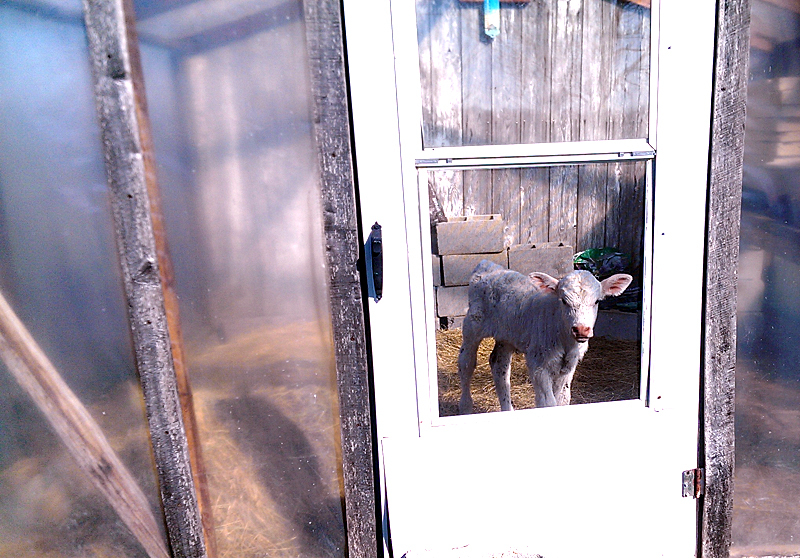 One of the first chores we tackled was cleaning out the greenhouse as it has been home to Baby Buster. The greenhouse makes an excellent nursery and is so warm and bright even on gloomy days that I have been known to hang out in there too. One of the nice days had us out cleaning out the dead blackberry brambles, pruning my little orchard and planting strawberries. Strawberries are one of my favorite fruits but I have the hardest time keeping them weed free. I had some old metal water troughs and tubs that had holes in the bottom so this year I am planting them with strawberries. There are lots of rock around here so I put a lot of them in the bottom of each so it would not take so much soil to fill them. 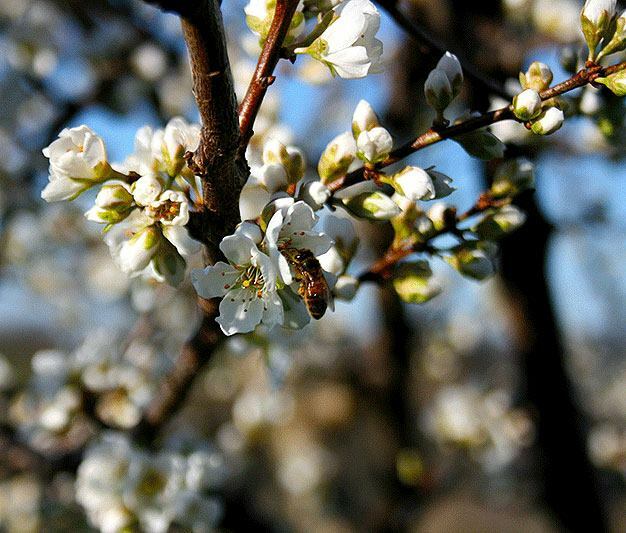 The red plum trees have bloomed and and it sure was nice to see the honeybees out and about.